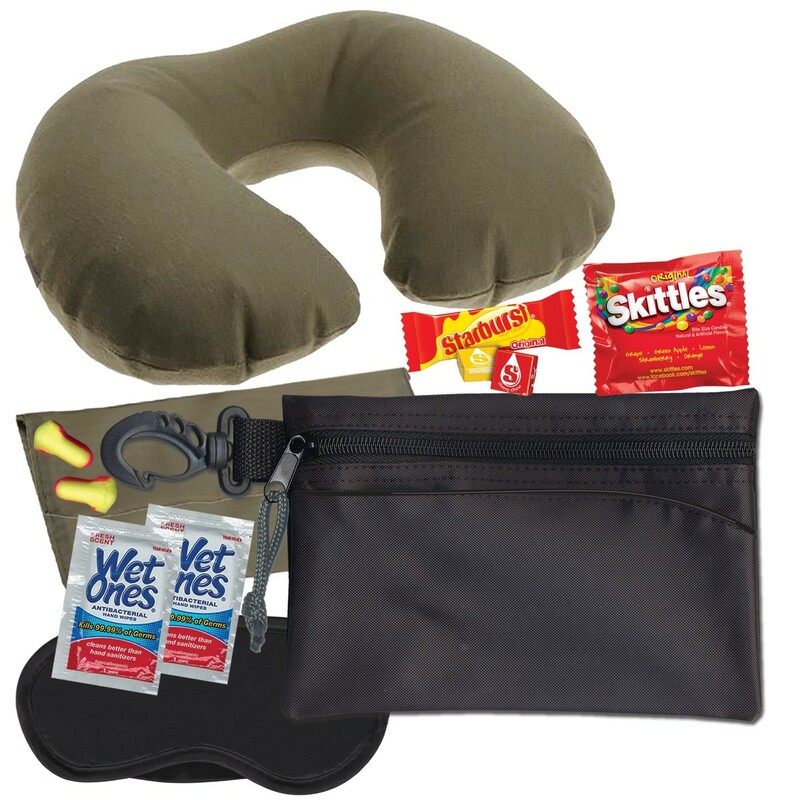 Bring a touch of home to your business or pleasure flight with this handy air travel kit. This 7.5" x 5" zippered nylon case sports a rope loop and carabiner clip for easy carrying. Choose from four case colors, and add your design or message to create a branded promotion that will make your flight just a bit easier to take. 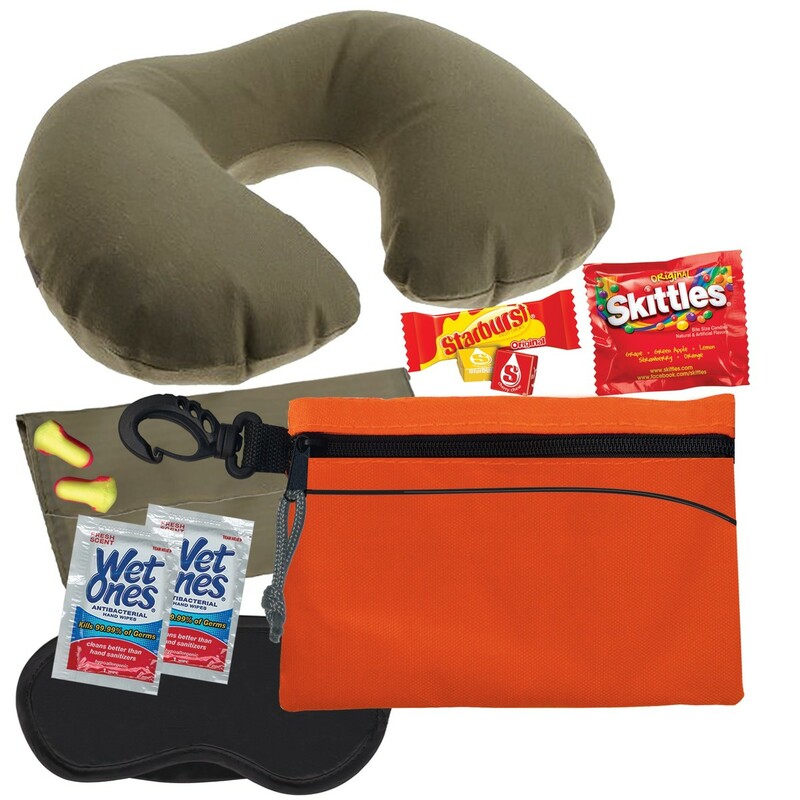 This kit includes 1 Inflatable Neck Pillow, 1 Sleep Mask, 1 Pair of Cordless Earplugs, 1 Gum Pack, 2 Wet Ones Wipes, 5 Bandages, 3 After Bite Sting Swabs, 1 First Aid Quick Facts Card, 2 Alcohol Wipes, and 2 Antiseptic Wipes.